Meet 10.30 Twickenham Riverside by Eel Pie Bridge. 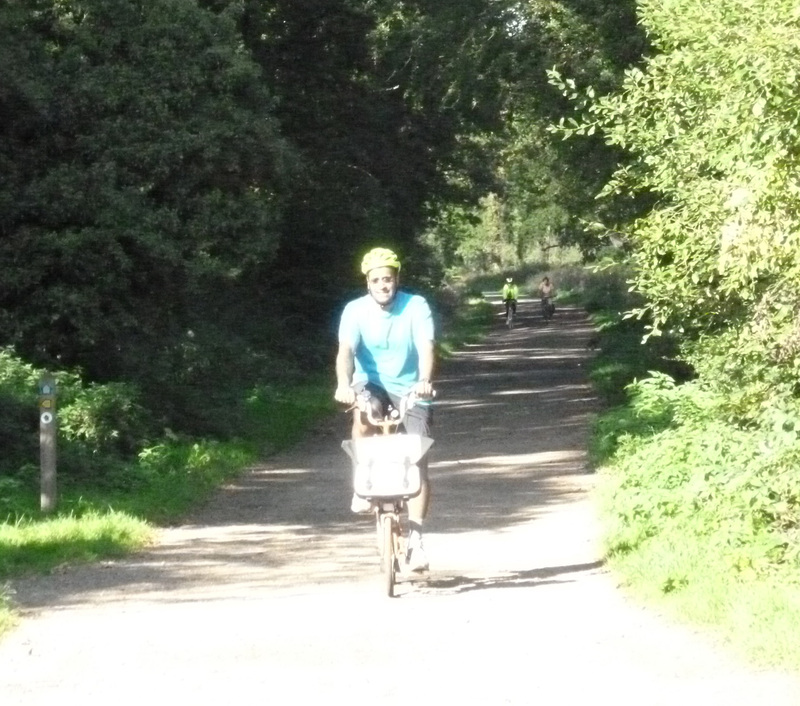 We cycle through Bushy Park then Esher Common to Cobham and then by a practically traffic-free road to Bookham Common and so to the Old Windsor Castle for lunch. (bit pricier than it used to be but good quality). Home via Oxshott and Claygate. 35 miles with quite a bit of gentle off-road suitable for most bikes. We were a total of 4 with the “most bikes” being successfully demonstrated by a Brompton which had no problems with the mildly damp trails across the commons. We enjoyed excellent weather with the trees showing a golden tinge. The lunch stop was less successful with the pub moving further in the restaurant direction but three of us enjoyed some pleasant soup. Perhaps next year we will try the Cricketers on Downside Common or press on to the NT cafe at Polesden Lacy. Please contact Paul: rides@richmondlcc.co.uk if you are thinking of coming in case of any changes.